I've also just add some texture using good old Mr Surfacer, I have no idea whether this is accurate or not, but I'm not really worried, I haven't got any good reference so I'm just going to have a play with this one. I'm thinking about doing either something like an MERDC/Greek Camo or a desertized tan andbrown scheme. Looks good Are those hover fans on the engine deck for jump jet tank? The real reason why Saudi Arabia bought the M1A2's was that the company producing the Osorio went bankrupt because the Iraqi Government never paid them for items they bought from them. 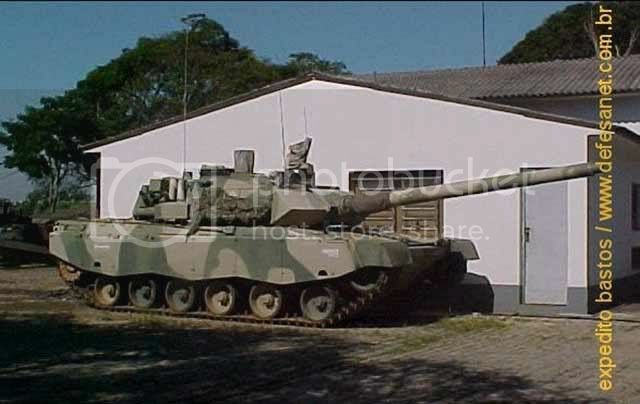 There are no Osorios in use by the Brazilian Army either..they received left over Army National Guard M60A3 from the US and I believe they also got Leopard I's. I'm sure that the US worked out a deal with the Saudi for M1A2's but it wasn't for protection rights as you stated. Thanks for those links Plushy, hadn't found those yet. I like that splinter scheme. 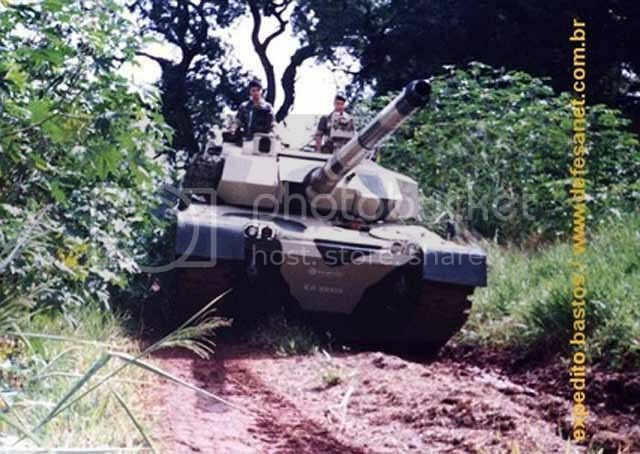 The Leopard 1s were the tank prior to the Osorio, they now use Leo2s. Last edited by MightyRhinox; 04-27-2007 at 12:20 PM. Hello Rod, how you doing? 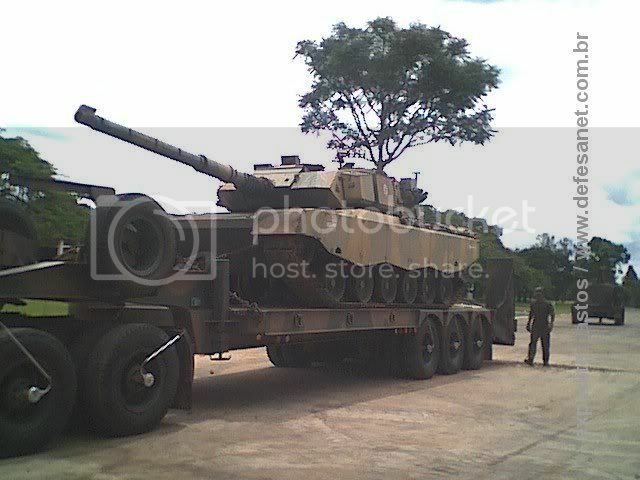 updated (new motor Scania, reinforcement of armor-plating and cannon of 90mm.) by Bernardini, a enterprise manufacturer of safes. of this new vehicle and the ENGESA was call. With possession of specifications of the project, ENGESA thought that to the new vehicle, to be economicaly viable should answer, also, to the specifications of other countries' Armies. The Project Osório was born. 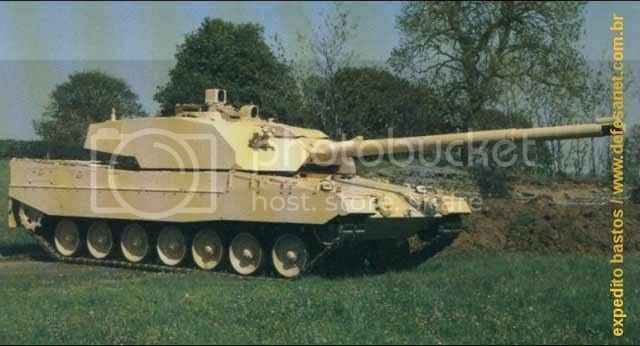 To make a MBT vehicle viable the ENGESA firstly it tried, in 1983, associations with enterprises traditional manufacturers of war material, like the French GIAT, British Vickers and German Krauss-Maffei/Reinmetal. 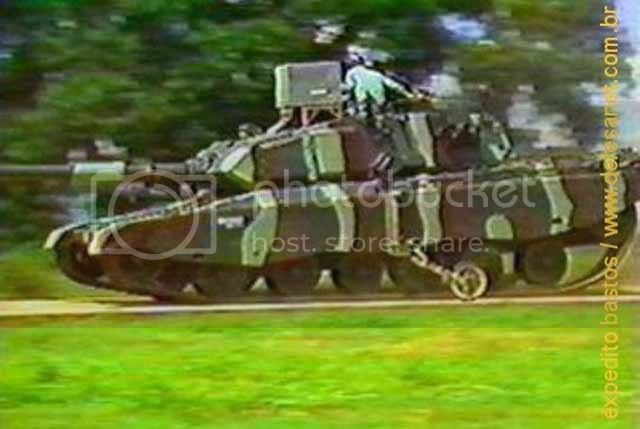 This attempt was due to the lack of know-how of ENGESA in the manufacture of this kind of vehicles, so up to that time their experience was with vehicles like the "Cascavel" (rattlesnake) and the "Urutu" (viper), that reached great success of sells in the South America, and Middle East contries like Libya and Iraq. The ENGESA went round this problem resorting straight to the suppliers of parts of the manufactured vehicles from the traditional enterprises, acquiring it, in this way, necessary up-to-the-minute technology for the execution of the Project Osório. 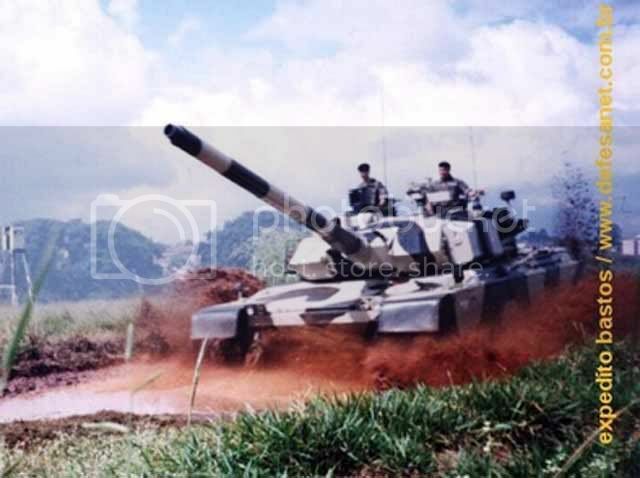 Here it is important to point out the fact's chronology: the Osório began to be conceived in decade of 80's and with that it was benefited of approximately 10 years of technological development on his contestants (M-1 Abrams, Challenger, AMX-32/40, etc. ), incorporating in his project boarded technology and being drawn totally in CAD-CAM, up to that time a novelty in terms of technology here in Brazil. 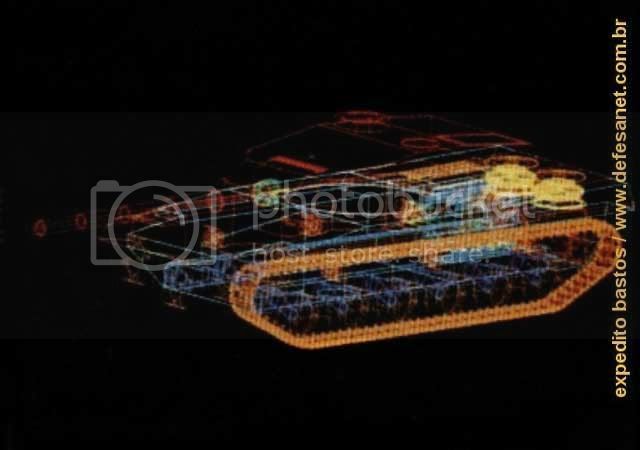 The EE-T1 Osório in the CAD-CAM. The project was predicting two different versions: one to match the specifications of Brazilian army and other one for export, already with sight of huge contracts in petrodollars. 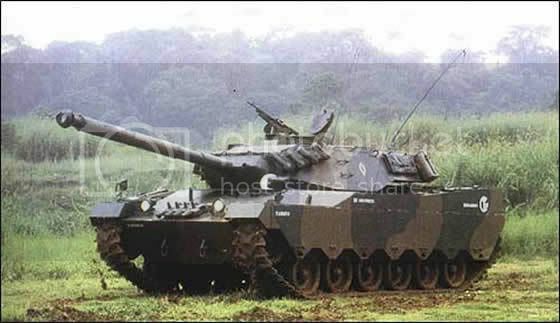 Both versions would be similar in terms of chassis: motor MWM TD8 834, transmission ZF LSG 3000, Dunlop hydropneumatics suspension, Diehl 234 tracks and composed armor-plating (what, in case of Brazilian version, it should be more simple, to reduce weigh, to be able to cross them bridges of our country). However, the main weapon and the shooting control systems would be quite different. 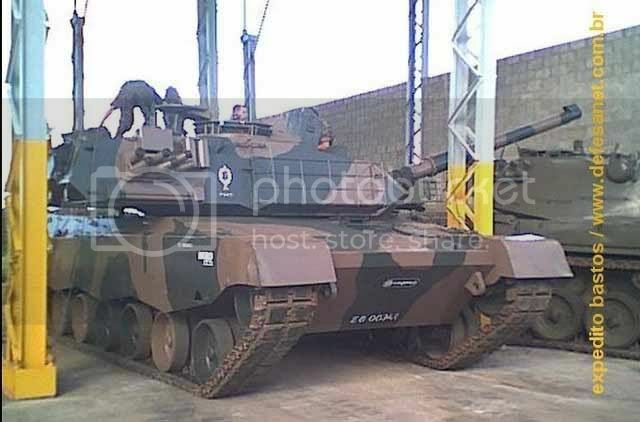 The Brazilian version would be equipped with a cannon based on the consecrated British L-7, of 105 mm, wich used Belgian technology for shooting control. For night time combats it would use a simple system, through enlargement of brightness. Prototype of Vickers MK 7. 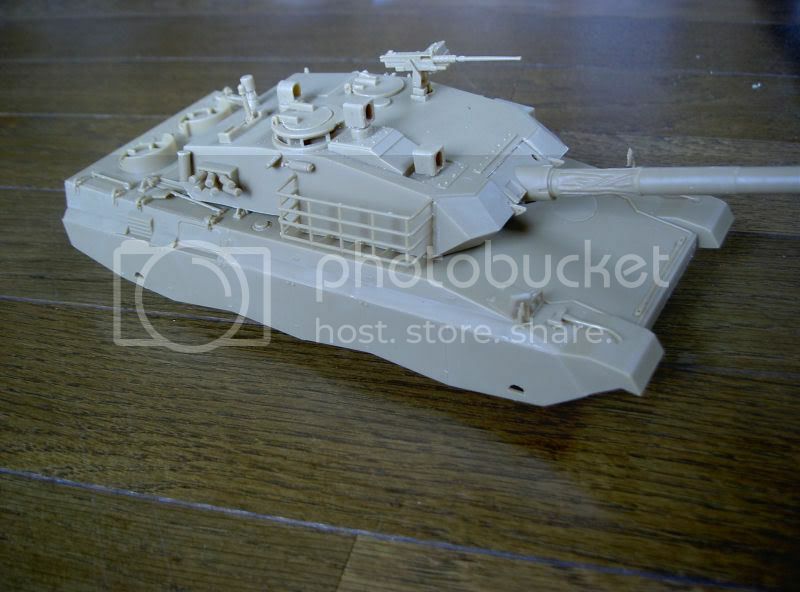 Note the resemblance of the turret. Yet, the version intended for the international markets was constituted of a French GIAT cannon of 120 mm, with a stabilization system to be able to shoot targets in movement and to distances superiors to the adversaries. For nocturnal combats, the Osório was counting with a termal system. 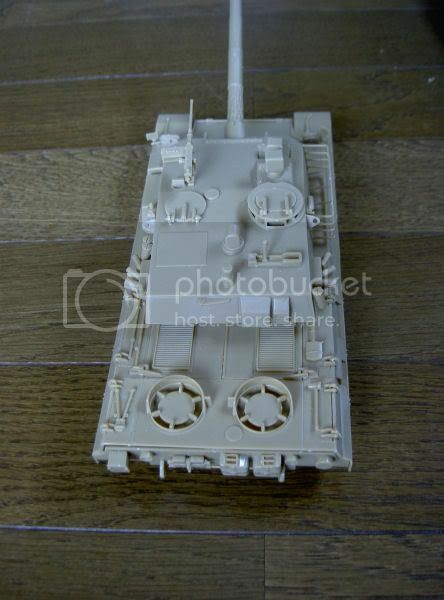 In terms of armor-plating, this version was able to resist 105 mm APDFS ammo shots and it was already in development an armor-plating to resist shots of the same type, however of 120mm. Still, the exprot version had a defensive laser detetor, protection against nuclear, bacteriologic and chemical weapons, APU (Auxiliary Power Unit) and air conditioning. 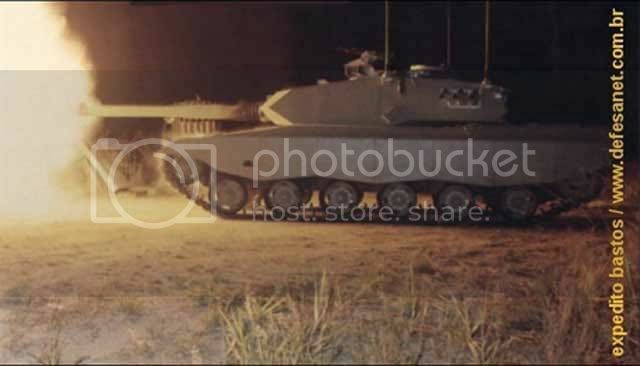 There is next to no information about this beasty, but the T2 actually beat out both the Abrams and Leopard2 in Saudi trials. 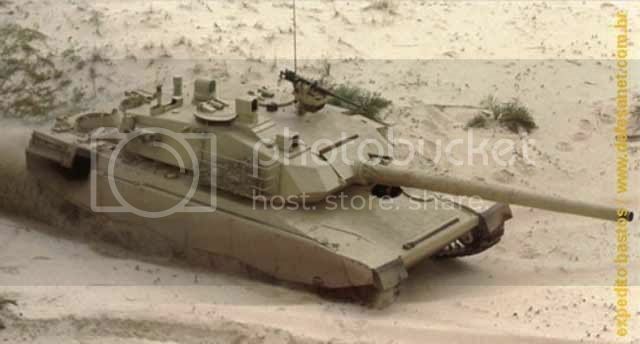 Unfortunately the gulf war broke out and Saudi Arabia was forced to buy the Abrams in exchange for protection from the U.S.A. 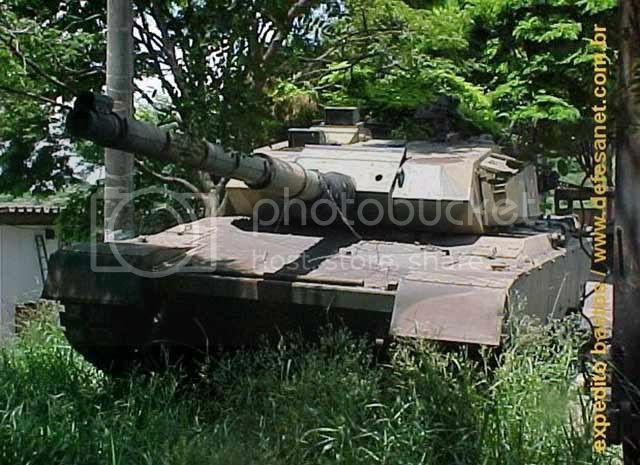 Sadly this meant the T2 never saw production and the company who made it went broke (they had had no backing from the Brazillian government for the project) 300 of the T1 were produced and are still in use in Brazil today. 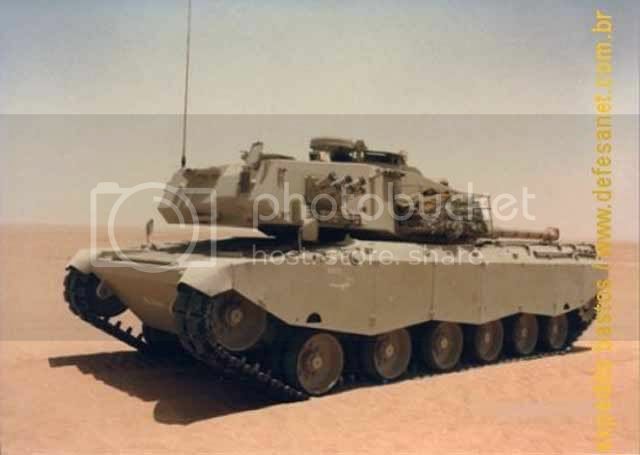 The prototype destined to export had his baptism in tests carried out in Saudi Arabia in the summer of 1985, record time for the development of a MBT, being taken into account that the beginning of the project was in the year of 1983. The EE-T1 Al Fahd (Osório P.1) on the Saudi Arabia version, 1985. The tests were done with the Challenger MkI, having the Osório surpassed the British tank in every tests, with wide edge of advantage. Although the results have impressed the analysts and Saudis authorities, as well as the attention of the worldwide market for the Osório, none request of purchase was done in that year. MBT. 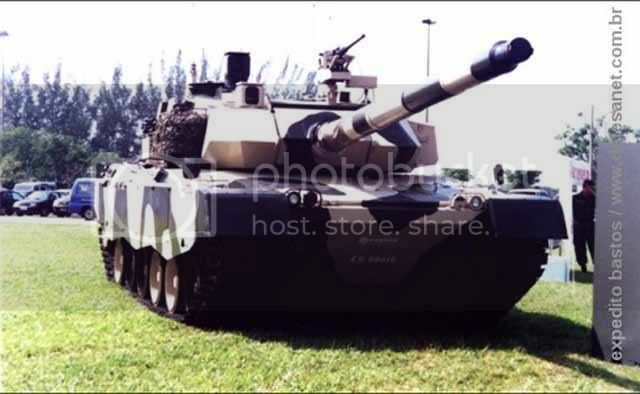 In this opportunity have competed with Osório, the M-1 Abrams, the AMX-40 (updated version of the AMX-30, already with a 120mm gun, just like Osório's), and again the Challenger. All the contestants got 2 vehicles each for the test, but ENGESA took only 1 example of the Osório, due to the finacial difficulties for which the enterprise already was going through. Such an attitude was demonstrate the reliability in performance of the vehicle. 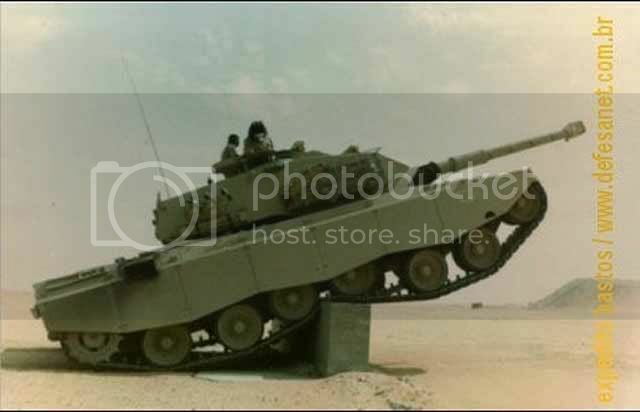 The P.1, first version in obstacle test in Saudi Arabia, 1987. Note the exaustor above the last road wheel. 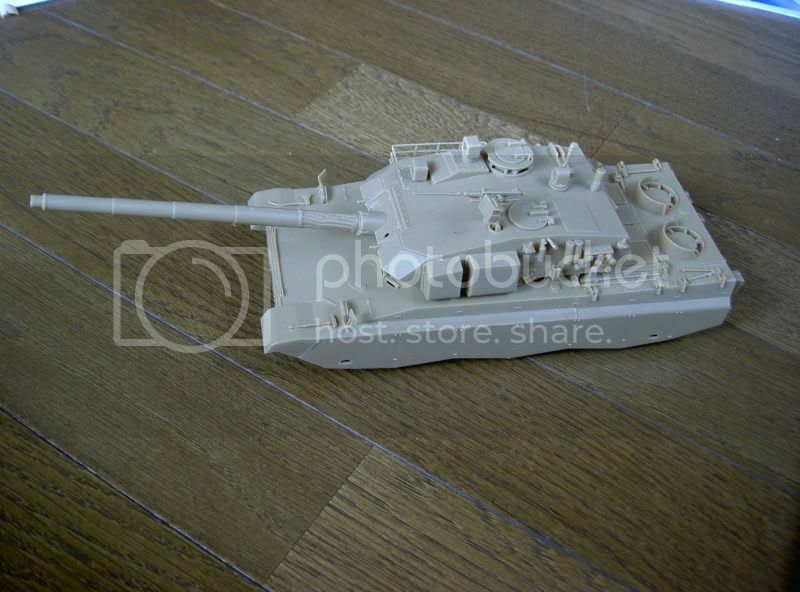 and the AMX-40 and the Challenger only 1. In the test of autonomy, Osório went through a distance in line straight of 400 km, surpassing his contestants. In the next year, Abu Dhabi, United Arab Emirates invited ENGESA to participate of one competition together with the Italian OFV 40, manufactured by Oto-Melara that detains the license of manufacture of the vehicles Leopard I and AMX-40 for the Italian Army. Again Osório was superior. 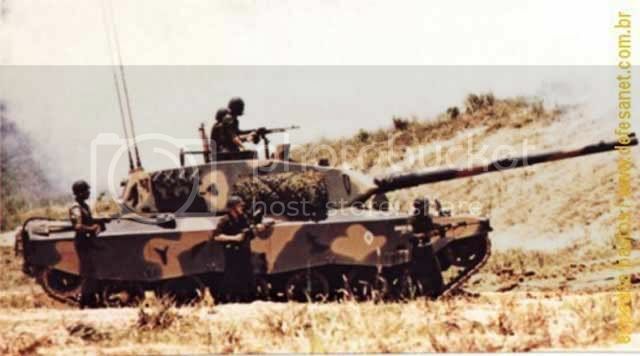 The EE-T1 Osório during tests in Abu-Dhabi, 1988, when he beat the Italian C-1 Ariete. what was bogged down and brought it to the Arab HQ. In spite of the success in both international competitions, there were no requests of production. Pressures realized by the US government American on Saudi Arabia, alleging that Brazil was a country that did not respect international agreements and that was marketing with countries considered enemies of the Saudi monarchy, like Iraq and Libya, made the Arabs to not make the deal making more difficult the financial situation of ENGESA. 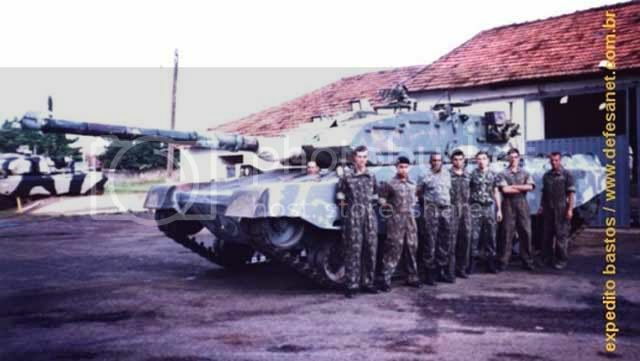 The fact of the Brazilian Army did not have any Osório at the time, for the lack of money for the acquisition, mattered greatly so that other countries were not interested by the project. The Army send Gel. Leônidas Pires Gonçalves, to Saudi Arabia to try to accelerate the signature of such an expected and wanted contract. This personal pledge was due to an agreement between the ENGESA and the Brazilian Army of which to each 10 vehicles supplied internationally, 1 would be destined to the Brazilian Army. The lack of requests for the Osório and the high investment to the evelopment of the project (18 Million Dollars) took ENGESA to ask liquidation agreement in March of 1990, though the negotiations with Saudi Arabia were still continuing. 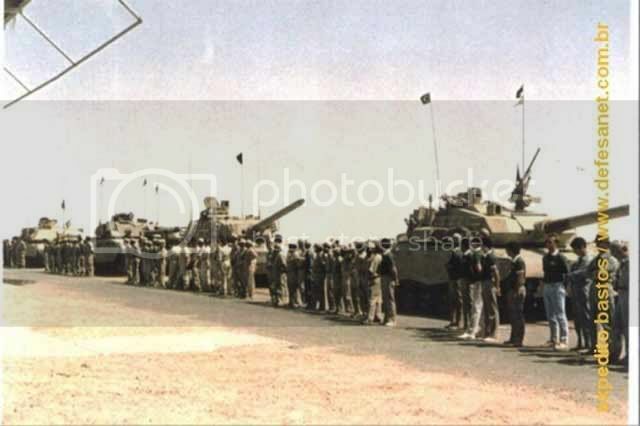 With the invasion of Kuwait by Iraq, in June of 1990, the negotiations were interrupted definitely, provoking the close of the activities of ENGESA. More to come. Hold your Airbrush! I will post some photos with different paint schmes. PS: As far as i know, we have no Leos 2... yet. PS2: Sorry about the lame translation! ...300 of the T1 were produced and are still in use in Brazil today. 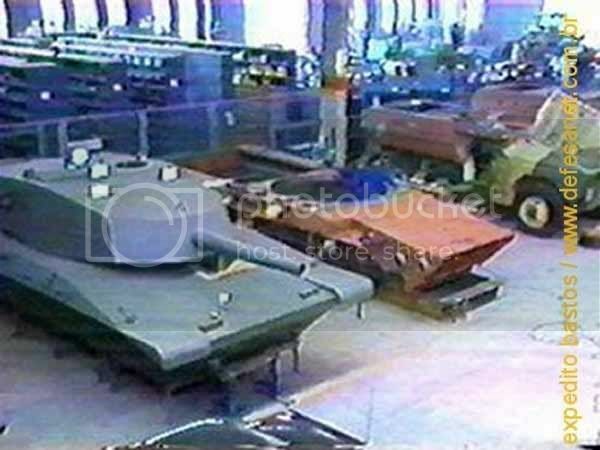 A part from the mock-up, there were built five cars, which should have been designated 1 to 5 , but they were not. In fact four were operational, in other words, the P.0 was the first one; it had a tower and false cannon to show how it would be the final configuration of the car. He was presented in the colors and with emblems of the Brazilian Army. It came operating with the tower of what it would become the P.1, normally it turns up great in catalogues of the ENGESA, having been undone by the enterprise itself. The EE-T1 mock-up (left) and the prototype P.0 chassis (right). Osório P.0 with fake turret and cannon. 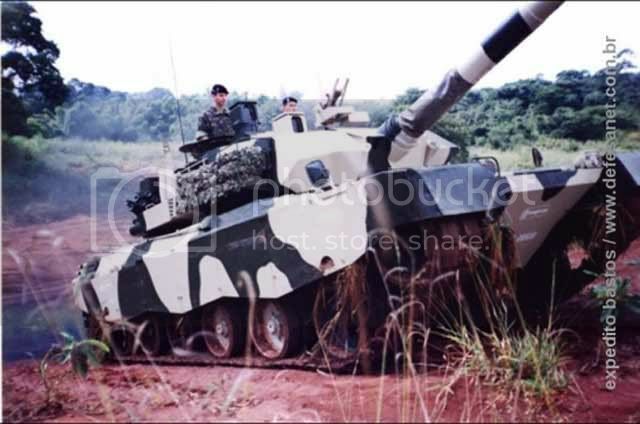 EE-T1 Osório P.0 with fake turret and cannon in the Brazilian Army configuration. Firing test of the EE-T1 Osório P.0 with the P.1 turret. 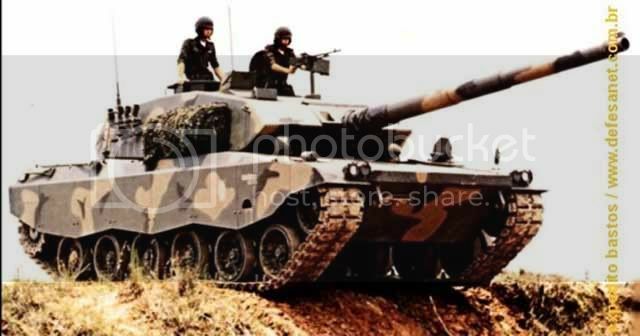 Yet, model P.1 armed with cannon of 105mm, in fact there were two, one participated of the first phase of the competition in Saudi Arabia in 1985, being the easiest way of identifying it the fact is that there were the only one to have side exhaust, just above the last wheel of support. He still came testing the tower of 120mm of what it would become the P.2. in Brazil. When he returned of Saudi Arabia it was almost completely undone and several modifications were effectuated, when there is appearing so the version P.1 (Brazilian Army version), which is what it is today in the 2nd R.C.C. 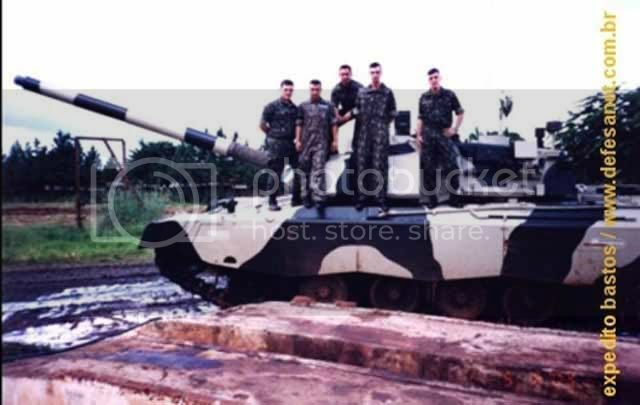 (2nd Regiment of Cars of Combat) in Pirassununga, São Paulo, and that it would go to auction in 2002 (for US$200.000,00!!! )[*] , so much that the chassis and the tower are identic to the P.2. A P.0 with a P.2 turret during tests in Marambaia, Rio de Janeiro. The EE-T1 Osório P.1 in Brazilian Army colors (2º R.C.C.) at Pirassununga, São Paulo. 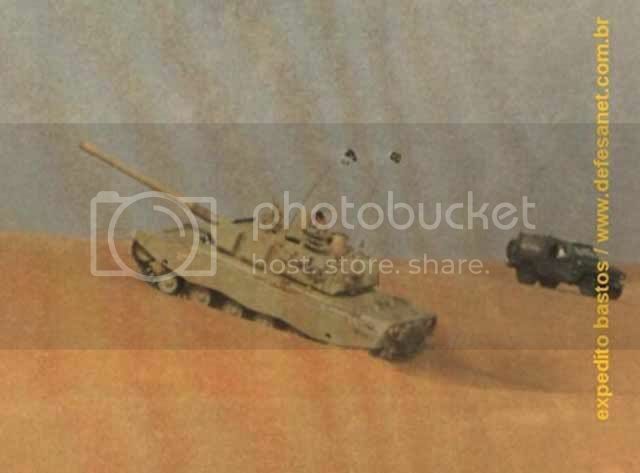 The model P.2 was to version Saudi Arabia equipped with cannon of 120mm and that it participated of the competition of 1987 in that country and in 1988 in Abu-Dhabi and which today is also in the 2nd RC.C., couple of the P.1 that would go to auction. When the bankruptcy of Engesa happen, there was a fifth car that was the leader of series of the version Saudi Arabia, which chassis was totally ended almost, when his production was interrupted, being subsequently been destroyed and sold like scrap metal. The fifth model of EE-T1, in this case is yet the Al Fhad, at construction phase. 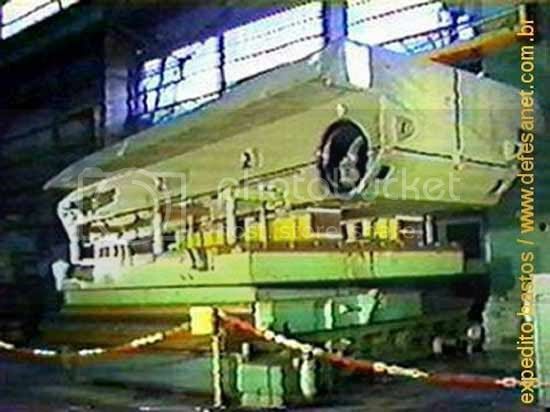 Never got done, and was sold as scrap metal ( ) after ENGESA's bankruptcy. This also explains the existence of three motors, one in the P.1, one in the P.2 and one other what we find a reserve, but that seriates it of the leader of series. 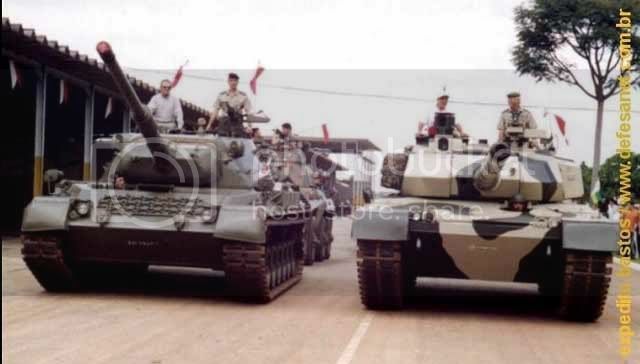 The designation P.1 and P.2 was let to differentiate only the Prototype 1 with cannon of 105mm (Brazilian Army version) and Prototype 2 with cannon of 120mm (export version, in this case Saudi Arabia) and the name of the car was always EE-T1 Osório or Al Fhad, very much though there has been contemplated the name EE-T2 for the P.2, this was never formally made official, being sometimes worn-out in ENGESA among employees. 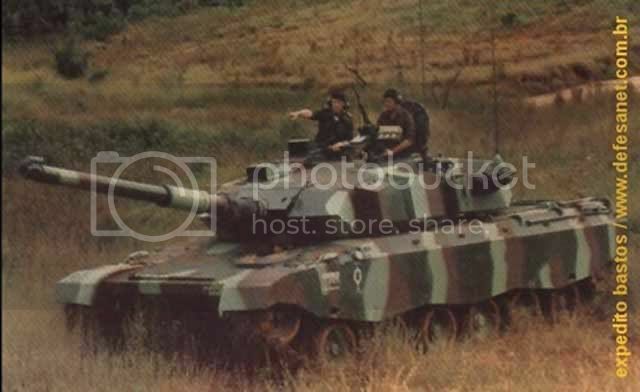 The EE-T1 Osório P.1, second version, with Brazilian Army's three tone camo, 1986. Teste de frenagem, um dos itens constante dos testes de homologação no Campo de Provas da Marambaia, 1986. [*] But, justice been made, after a big mobilization it was possible to revert this process and finally, in 2003 the Osórios were officially handed out to the 2nd Regiment of Cars of Combat of Pirassununga, guaranteeing in this way his preservation in operational state not alone for the future generations that will be able to see this tribute to the technological Brazilian capacity, but also to serve from parameter to a better understanding and future development of a MBT in Brazil. O EE-T1. Osório P.1 in bad shape, with no operating conditions, before auction 2002. The EE-T1 Osório P.2, still operating, before auction 2002. Arrival of EE-T1 Osório P.1, after the cancelment of the auction, at 2º R.C.C, March 18 2003. The "Guardian Angels" responsible for the maintenance of the P.2 and that managed to put the P.1 in order of march, pose near the P.1 still without painting, receiving the last finishing touches. EE-T1 Osório P.2 from 2º R.C.C., May 6 2003. The EE-T1 Osório P.2 in the 2nd RCC in 22 of March of 2003. Driving beside Osório rides a Leopard 1 A1. 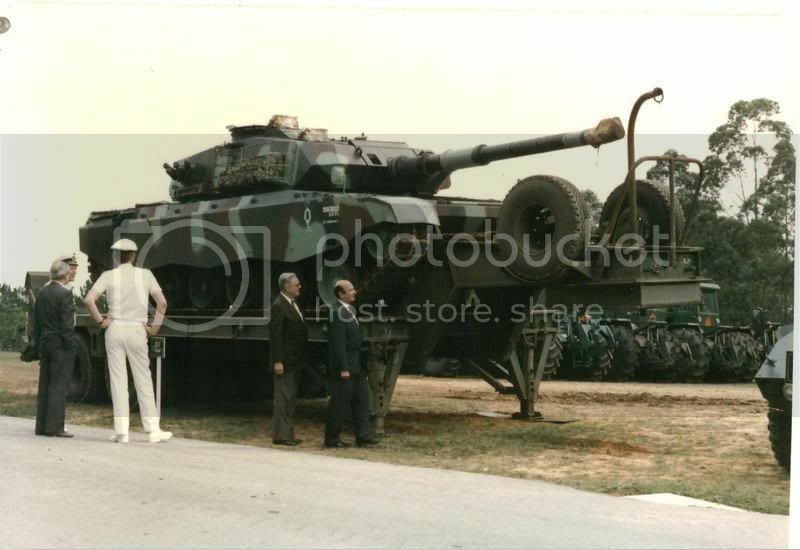 Sir Manfred Worner, Minister of the Defense of Germany accompanied by the Mr. José Luiz Witaker, President of the ENGESA, in May of 1986 beside the EE-T1 Osório with a three tones camo and Brazilian Army insignia. Superb photo history on the Osorio. Very interesting read and informative It's a shame that Engesa went bankrupt due to forces beyond their control.